Screenplay: Gary Ross, Suzanne Collins, Billy Ray. Starring: Jennifer Lawrence, Josh Hutcherson, Liam Hemsworth, Woody Harrelson, Elizabeth Banks, Stanley Tucci, Donald Sutherland, Wes Bentley, Lenny Kravitz, Toby Jones, Amandla Stenberg, Alexander Ludwig, Isabelle Fuhrman, Jacqueline Emerson, Paula Malcomson, Dayo Okeniyi, Jack Quaid, Leven Rambin, Willow Shields. Gary Ross has been involved in films for quite some time now. He received an Oscar nomination for his screenwriting duties on the Tom Hanks movie “Big” in 1988 but this is only the third time he has directed a film, following “Seabiscuit” and his very impressive debut “Pleasantville“. “Capitol” is a wealthy city in a post-apocalyptic North America (now called “Panem”). It rules over the rest of the impoverished nation. In order to be perceived as generous, they hold an annual gladiatorial tournament called “The Hunger Games“, where the country’s youngest inhabitants are randomly selected to fight to the death. Only one can remain alive and receive their riches. 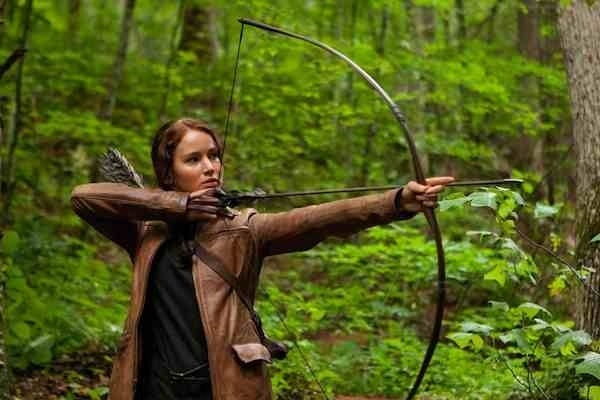 After her young sister is selected to compete, Katniss Everdeen (Jennifer Lawrence), a defiant and accomplished survivor volunteer’s to take her place. If you’ve seen the Japanese film “Battle Royale” or the Sci-Fi/Actioner “The Running Man” then you’ll be on familiar ground with this one. It’s basically the same premise. Considering the subject matter, director Gary Ross does well to tone down the violence on this one though, making the story more accessible to a relatively younger audience. After all, it was based on a best selling teen-novel by Suzanne Collins – who also co-writes the screenplay here. It’s starts very strongly in it’s introduction to a bleak futuristic America. The wealthy are all greed infused with bad tastes and flamboyant styles while the poor have to feed off the land and strive for whatever scraps they can (No change there then). Ross captures the divide admirably though and takes his time in building up The Hunger Games’ rules. It’s all about the entertainment for the well-off and it’s broadcast across the nation as an immersive reality TV show, meaning sponsors, trainers and promotors are all involved. Amongst the highlights of these are a shaggy Woody Harrelson as Haymitch Abernathy, mentor to the contestants and a ruthless Wes Bentley as Seneca Crane, the gamemaker who oversees the action – sometimes manipulating it – by order of Donald Sutherland’s dubious paterfamilias President Snow. The real anchor though, is Jennifer Lawrence. Yes, there may be similarities with her Oscar nominated performance from “Winter’s Bone” but that’s no bad thing. The film relies heavily on her and she’s more than able to carry it. It does, however, go on too long and becomes a tad formulaic in it’s finale. The obvious set-up for part two doesn’t appeal either but other than that, this is a decent film. Don’t let the fact that Suzanne Collins’ books were aimed at teenagers, put you off. This film manages to work on a level that will appeal to many. This entry was posted on April 9, 2012 at 11:31 am and is filed under Action, Adventure, Science Fiction with tags 2012. You can follow any responses to this entry through the RSS 2.0 feed. You can leave a response, or trackback from your own site. I’m going to be writing about this later today. Immediately after watching it I had a headache from all the handicam and would have written a pretty scathing review, but after sleeping on it for a few days I’ve grown to like it much more. I totally agree man. Initially I had it down as at least a * * * * star movie, then it began to lose it’s way a bit. Still, overall it was quite good. 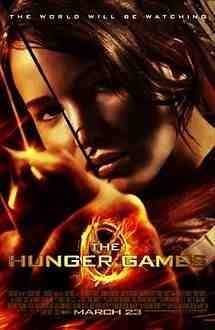 I think *** 1/2 stars for The Hunger Games is appropriate. Since it was a film aimed at teenagers, a lot of the moral dillemas that could have been portrayed were not. However, as a teenager, I felt something was missing. It seemed like Jennifer Lawrence’s character was constantly being portrayed as a hero, even though she is in the same situation as the other kids and is no better than them (except for the professional tributes). She seems to only kill those who are either directly threatening her or her friends. I think a more powerful, alternative ending would be if the last three survivers were Peetah, Rue, and Katniss, and then the annoucement that two winners from the same district will be allowed to live comes. Katniss would have to choose between throwing Rue to the savage animals that are waiting on the side of the trailer (or whatever that was) or face the wrath of the Capitol for their insubordination to the Games (Peetah was in no shape to make any decisions or kill anyone). I was disappointed with this film. I’ve read the books and was looking forward to seeing it on the big screen. The main male characters were not as I imagined. The film had a promising start but then seemed to loose pace. I won’t be rushing to see the sequel. I was the opposite really. I hadn’t read the books and expected very little from it. I thought it was a decent flick. Not great but decent. Thanks for stopping by Carly. Great review, you should check out my review of it. Thanks Vinnie. I’ll swing by later to have a look at your take on it.